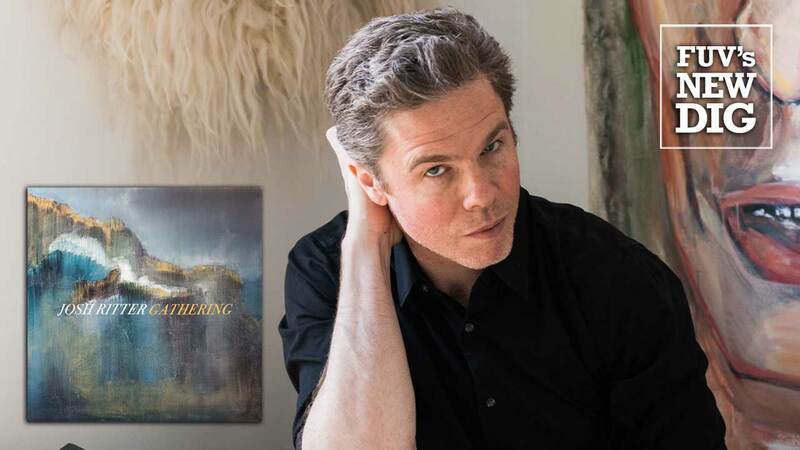 Since Josh Ritter first emerged in 1999 with his eponymous, self-released album, he's consistently delivered music that comes from a bottomless well of inspiration. He effortlessly combines the sensibilities of a contemporary folk musician with the humble coolness of a veteran rock and roll bard. Gathering is Ritter’s ninth studio album and follows 2015’s Sermon On The Rocks. Following the early 2015 sessions for the latter album, Idaho native Ritter, 40, worked closely with Grateful Dead legend Bob Weir, on Weir’s first solo studio album in 38 years, 2016’s Blue Mountain. Ritter was a primary songwriter on Weir’s album and he wrote the lion's share of the lyrics. That collaboration with Weir inspired the songs for Gathering. Ritter’s lyrical skills are on full display on Gathering. Following the introductory “Shaker Love Song (Leah),” comes a trio of rapid-fire songs packed to the brim with Ritter’s trademark rambling wordplay. They are tunes teeming with energy and enthusiasm. “Showboat” is an upbeat tour de force with horns. “Friendamine,” a folk rock song with slightly distorted but pleasantly cacophonous instrumentation, follows. Reminiscent of a Paul Simon song, “Feels Like Lightning” gallops by, completing this one-two-three punch. On the other side of the spectrum is “Dreams,” a haunting, late-night track. The song's richly cinematic stream of consciousness captures the meandering and symbolistic characteristics of a dream. It winds and twists, occasionally leaps forward and then coyly pulls back. Ritter is an exuberant artist who has the uncanny ability to constantly enlighten and surprise his fans. His songs are contemplative one moment and freewheeling the next, weaving effortlessly to and fro. But it’s Ritter’s ability to conjure up songs like these time and time again that has made him a major player in Americana music. Gathering is a wonderful musical treasure trove.